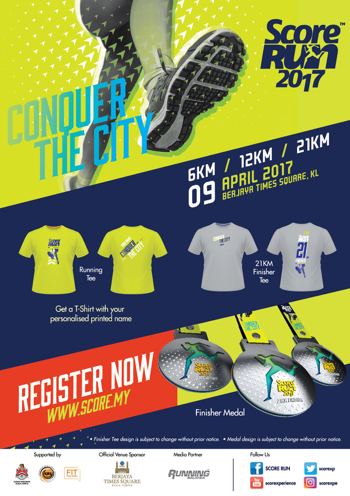 SCORE Run 2017 set to returns to the city, are you ready to conquer and dominate the streets? 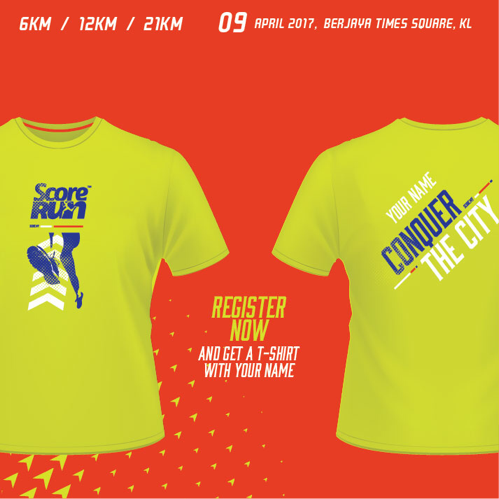 Man versus city, the run will kick off at the heart of Kuala Lumpur’s golden triangle – BERJAYA TIMES SQUARE and stop at nothing to conquer the urban jungle. Run under the shade of towering skyscrapers and world-class hotels and be in awe as the city comes alive. With an expected 12,000 runners, SCORE RUN is set to be one of the best running events of the year. Sign up now to also get your t-shirt with your personalized name on it!